An Iron Age hill fort, defended by a deep ditch in horse-shoe form. 8m SE of Dumfries on the B725. 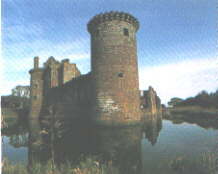 One of the finest castles in Scotland on a triangular site surrounded by moats. 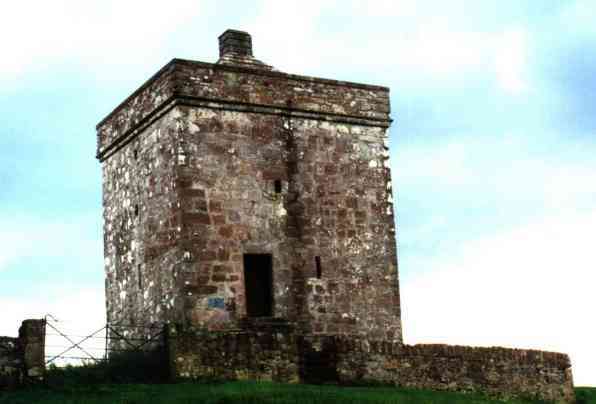 Its most remarkable features are the twin-towered gatehouse and the Nithsdale Lodging, a splendid Renaissance range dating from 1638. 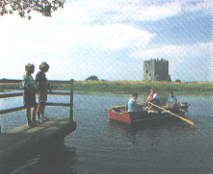 The ancient home of the Maxwells, this 15th-century four-storey tower house stands on a rocky platform above the Water of Fleet. The fireplaces in the great and upper halls are particularly fine. Children's park and modern siege engine in front of castle and nature trail to the old castle. Two remarkably complete Neolithic burial cairns, of a type characteristic of Galloway, situated on a hill giving good views over Wigtown Bay. 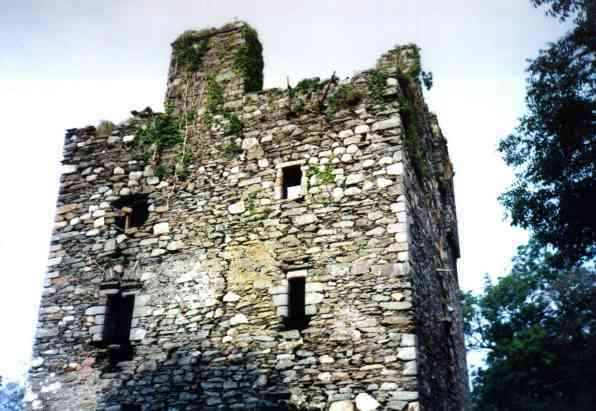 The well-preserved ruin of a tower house of 15th century date, the ancient home of the McCullochs. The architectural details inside the tower are of a very high quality and the battlements give good views over Fleet Bay. 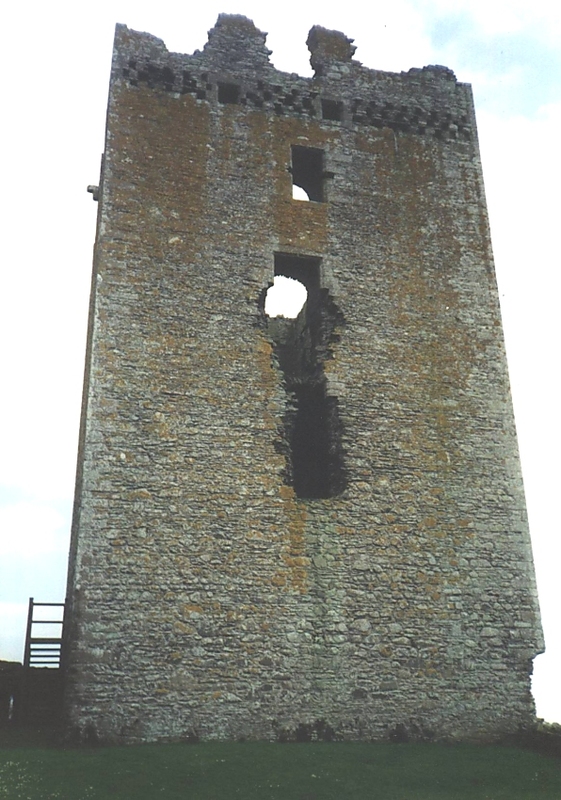 The delightful and well-preserved ruin of a tower house of 16th century date, with 18th century ranges of outhouses, still in use by the farmer, reminding the visitor that such houses were originally linked to outbuildings. 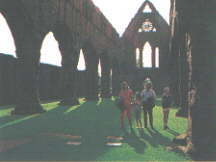 One of its owners was the last abbot of Sweetheart Abbey. The foundation remains of a small chapel in an enclosure, probably built as a pilgrimage church c 1000 AD. 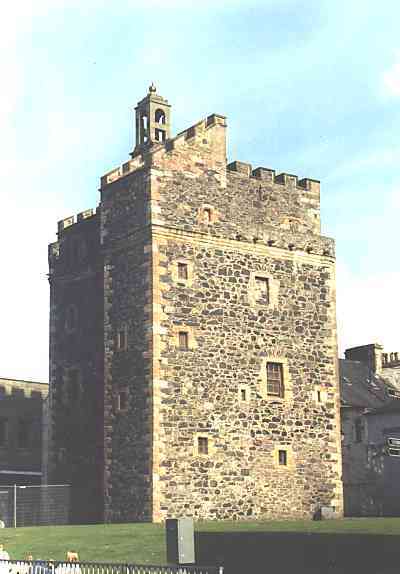 A well-preserved tower of mid-16th century date, simply planned and built. Three groups of well-defined cup and ring marks on bedrock, probably carved in the Bronze Age. An alignement of three stones, one of which has fallen. Mary Queen of Scots spent her last night on Scottish soil in May 1568 in this Cistercian abbey founded by in 1142 by David I. 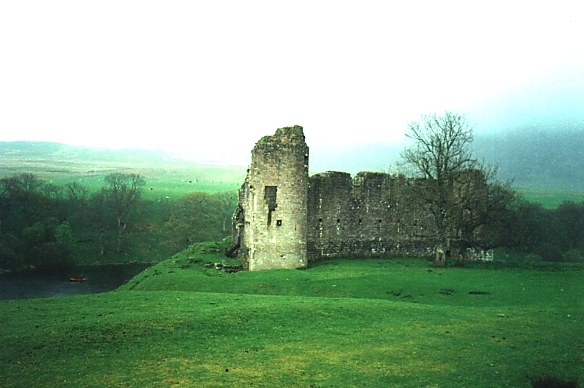 The Abbey, built in the second half of the 12th century, stands in a small and secluded valley. 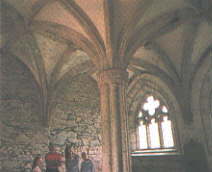 The east end of the church and the chapter house are of exceptional architectural quality. The remoteness is in keeping with the strict rules and observance of the Cistercian order. Open all Summer and at weekends on winter. 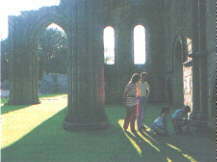 Founded by Roland, Earl of Galloway in 1192, the ruins of this Cistercian abbey occupy a site of great natural beauty. 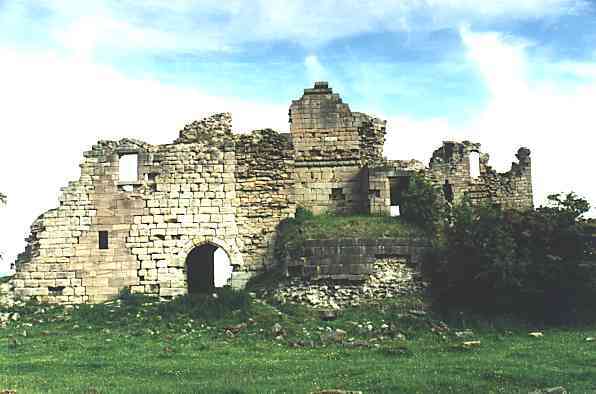 The remains, including a handsome early-16th century chapter house, are set in a lovely tranquil valley. It was visited by Robert the Bruce and James IV. 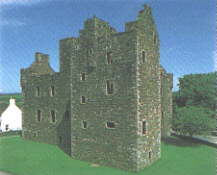 Mary Queen of Scots stayed here during a royal progress. An exhibition of objects found at the abbey is on display at the site. Three of the earliest Christian memorial stones in Britain, dating from the 5th century or early 6th century, displayed in a porch of a former chapel. Two stones carved with early Christian crosses. Difficult access signposted through Forrestry Commission land. The rich remains of a collegiate church and the accommodation for its canons, founded in 1389 by Archibald the Grim, 3rd Earl of Douglas (see Threave Castle). The splendid chancel was probably added by his son, Archibald, the 4th Earl, and houses the exquisite monumental tomb of his wife, Princess Margaret, daughter of Robert III. 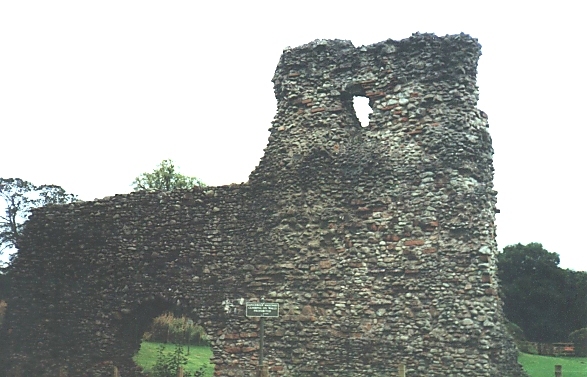 The much reduced remains of a royal castle, originally built by the English in the 14th century but extensively rebuilt during the reign of James IV (1488-1513). Largely dismantled after its capture by James VI in 1588. View exterior only. The extensive remains of earthworks, including a rectangular 'peel' (timber palisaded enclosure) built by Edward I of England, are visable around the masonry castle. In Kirkcudbright on the A711. 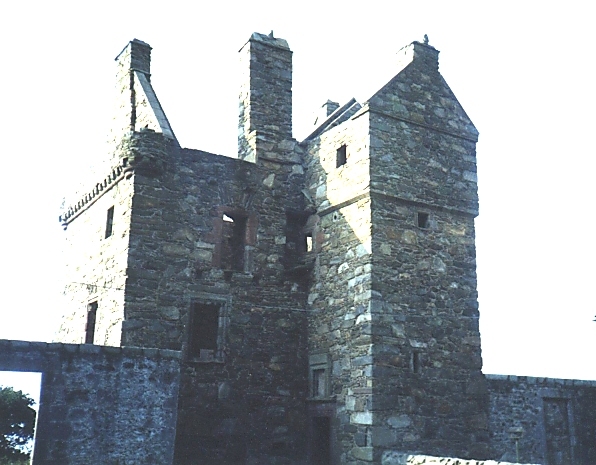 Built in 1577 using stone from an adjoining ruined monastery by the then Provost, Sir Thomas MacLellan but probably never finshed, this castellated town house has fine architectural details. A fine carved wayside cross, of 15th century date. 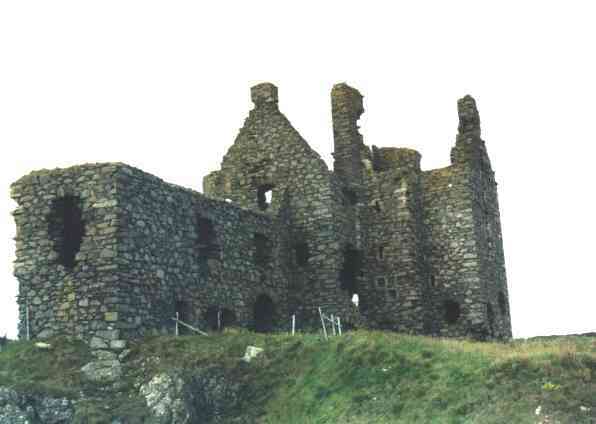 A fine late-13th century hall house, a stronghold of the Douglases. View from outside only. 8m S of Dumfries on the A710. This carefully renovated 18th-century water-powered oatmeal mill is in full working order and regular demonstrations are given for visitors in the summer. Closed Thursday afternoon and Friday in winter. A charming house of mid-15th century date. It is uniquely, circular in plan. A rectangular settlement defended by a bank and ditch. It dates from the 1st or 2nd century AD. 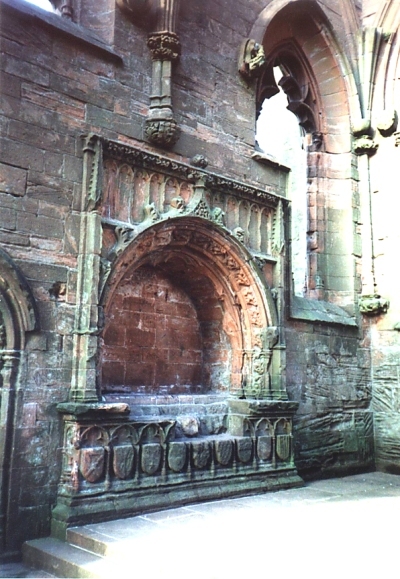 At Ruthwell, eight and a half miles south east of Dumfries, sited within the parish church. This Anglian Cross, sculptured in high relief, dated from the end of the 7th century AD, and is considered one of the major monuments of Dark Age Europe. Physgill, on the coast four miles south west of Whithorn, 83 NX 421 359. Traditionally associated with the saint. 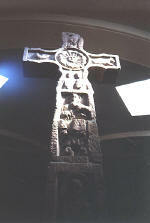 Early crosses found here are housed at Whithorn Museum. Crosses carved on the walls of the cave are now weathered. 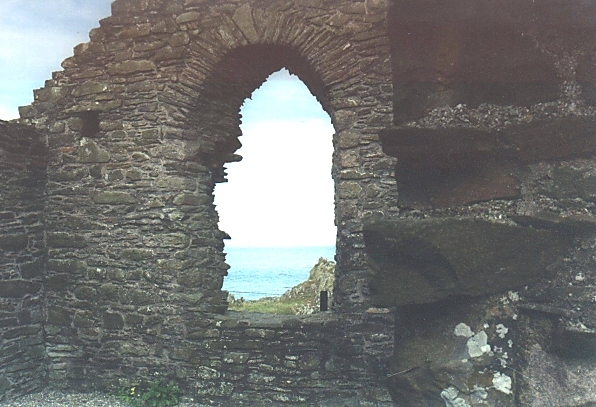 Restored ruins of a 13th century chapel, probably used by pilgrims on their way to Whithorn. 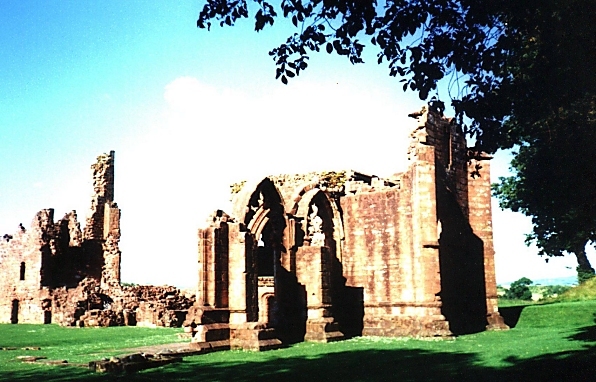 The splendid remains of a late 13th and early 14th-century Cistercian abbey founded by Devorgilla, Lady of Galloway, in memory of her husband John Baliol. Devorgilla is buried in the presbytery with a casket containing her husband's embalmed heart. 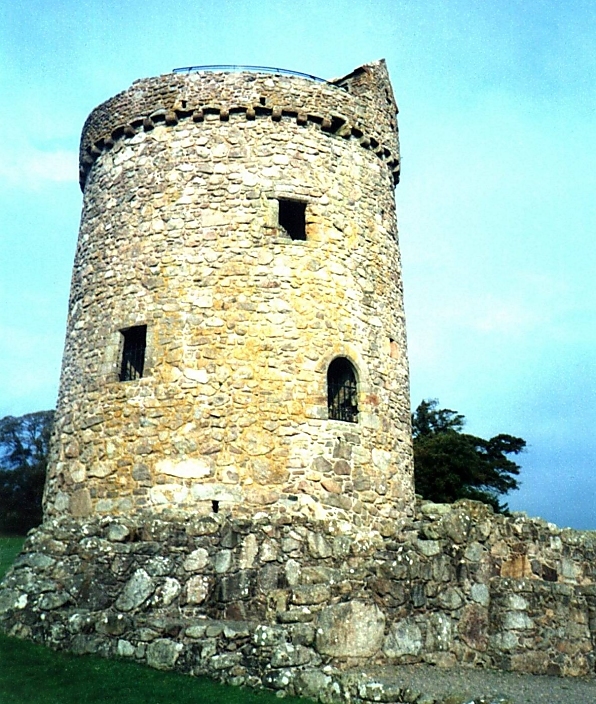 This massive tower, situated on an island in the River Dee, was built by Archibald the Grim, Lord of Galloway, in the late 14th-century and was later the stronghold of the Black Douglases. 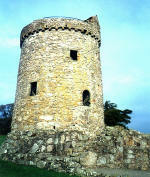 Round its base is an artillery fortification built before 1455, when the castle was besieged by James II. Ring the bell and the custodian will come to ferry you over. Four miles west of Wigtown, 83 NX 382 565. A Bronze Age recimbent circle of 19 boulders on the edge of a low mound. This type of stone circle is most commonly found in north-east Scotland. An early 19th century wooden water-balance pump for draining a lead mine, with the track of a horse engine beside it. 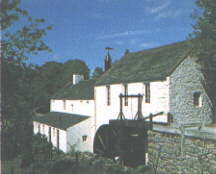 Nearby is the privately-operated museum of Scottish lead mining. At Whithorn on the A746. 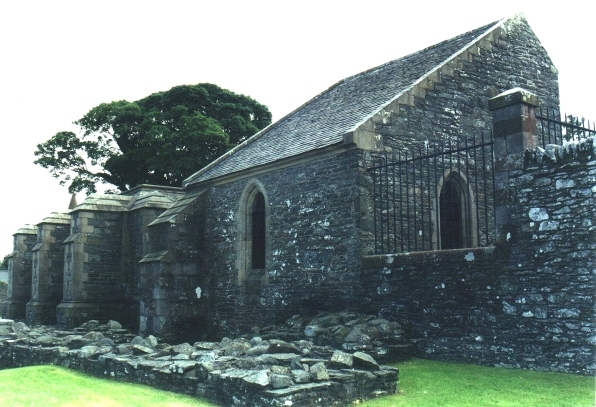 The site of the first Christian church in Scotland founded by St Ninian in the 5th-century it later became the cathedral church of Galloway. In the museum is a fine collection of early Christian stones. The archaeological excavation is open to visitors. 16th C tower house. Once used as a jail, now a museum. 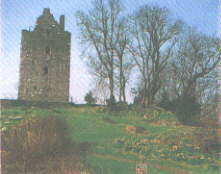 reputedly by Lord Herries, who demolished a chapel to build nearby Hoddom Castle. 13th C keep & outbuildings.